We make light work of heavy vehicle towing. 24/7 towing services at competitive rates anywhere in Victoria. When you need a heavy vehicle truck, bus or coach towing service, you need to feel confident that your tow truck company is prepared for the job. Western Trucks has an experience professional team as well as a wide range of equipment and services to meet all heavy vehicle towing, recovery and repair needs anywhere in Victoria. We are one of Melbourne’s most established heavy vehicle repair and towing service with a reputation for reliability and affordability. We are committed to providing our valued customers with a consistent high level of service at all times. At Western Trucks, we understand that heavy vehicle breakdowns require a fast and reliable emergency tow service and that’s where we can help. We offer a range of specialist breakdown services to make light work of all your heavy vehicle towing needs anywhere in Victoria. 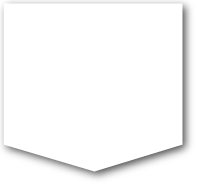 From trucks, bus and coach breakdowns, the team at Western Trucks can front or rear lift tow large vehicles with or without trailers. Our reliable tow service is available 24 hours a day, 7 days a week with Western Truck Repairs coordinating all services from start to finish. Western Trucks specialises in emergency breakdown towing and providing roadside assistance that caters to both individual and commercial towing needs. We pride ourselves on our reliable service, competitive pricing and fast response times to give you peace of mind. Western Trucks can also offer a range of other specialist services such as prestige car towing, long distance transport and trade towing plus unwanted car and truck removal. If you need your truck, trailer or bus towed, don’t hesitate to contact the most reliable emergency breakdown service. Western Trucks has a wide range of recovery towing and transport equipment ready to respond to your emergency situation. Every day we get calls to tow or recover trucks, buses and coaches experiencing problems on the roads of Melbourne and right across Victoria. Our reliable team is ready to respond immediately with our 24 hour, 7 days a week service. We understand that a faulty vehicle is costing you money every day it’s off the road, so we work quickly to make sure your vehicles are where they should be - on the road, getting the job done and making you money. We work quickly to make sure your vehicles are where they should be - on the road, getting the job done and making you money. 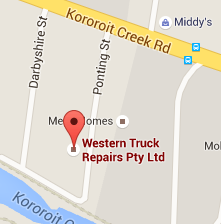 With over 30 years experience in the industry, Western Truck Repairs is a quality repair service you can rely on.